Connect with your workforce like never before. Effective communication is vital to an organization’s success; it enhances the workforce’s understanding of company initiatives allowing for improvements in productivity, confidence, and morale. So why not ensure that your company carries a united and coordinated message, and strengthen your network like never before? 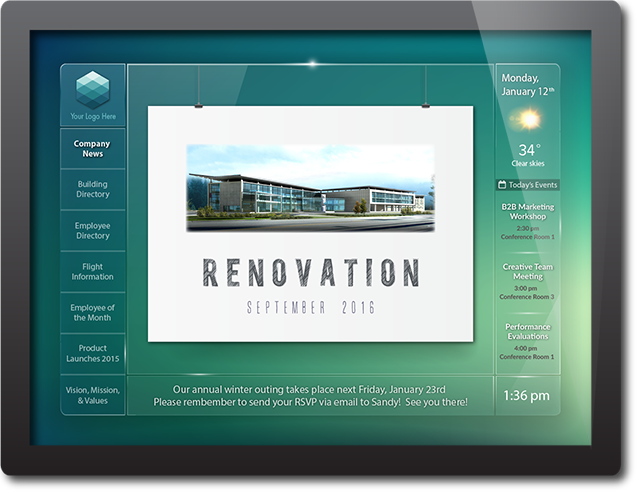 Measure progress towards company goals, empower your workforce, and boost efficiency through use of digital display technologies. Our multimedia solutions promote content sharing across all directions of your organization, ensuring continuity and driving company-wide engagement. Emphasize and illuminate your corporate values, allowing your teams to identify with short and long-term goals as they perform their responsibilities. Position your workforce to tackle that next big project, build an environment of trust and support, and deliver results. 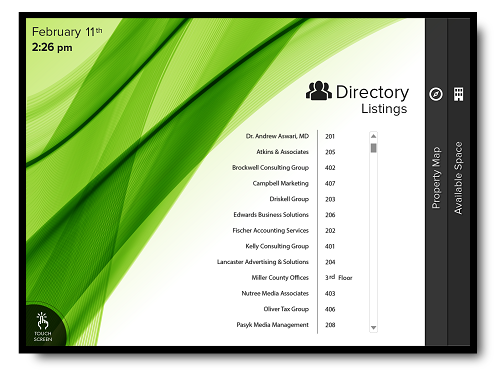 ITS offers a variety of solutions to boost communication across your organization. Our Corporate Messaging System seeks to streamline how your organization communicates by offering a tailored solution that best serves the needs of your business. 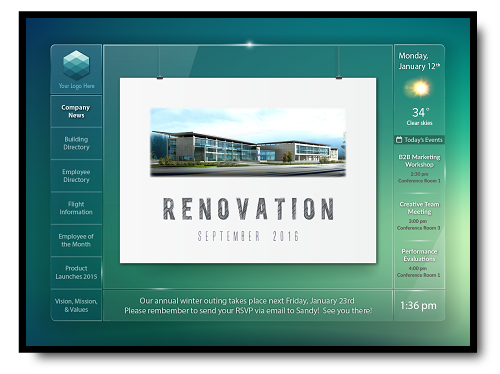 Display the information vital to your organization’s success, across your facilities, consistently. your facilities, allowing staff to focus on additional responsibilities. at a moment’s notice, without any additional costs or waiting. 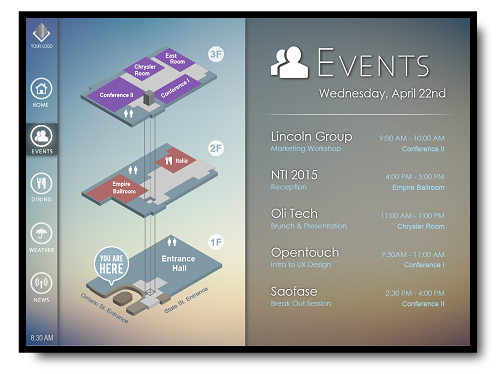 Event & Meeting Displays allow you to point guests to their respective meeting rooms in a clear, efficient manner. Publish last-minute changes to your event schedules instantly. Even supplement with flight information and weather forecasts to cater to traveling visitors. Corporate headquarters, training centers, and office buildings are regularly visited by air travelers. 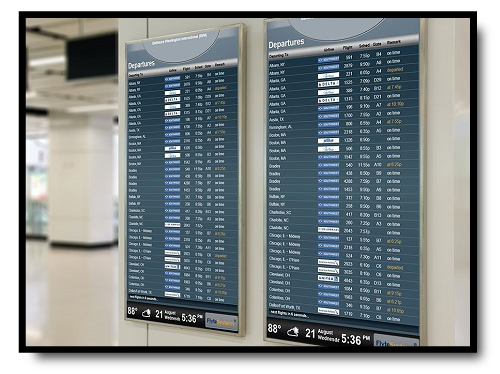 Providing airport screens allows visitors to confirm their travel plans before leaving your facility, directly improving the guest experience.